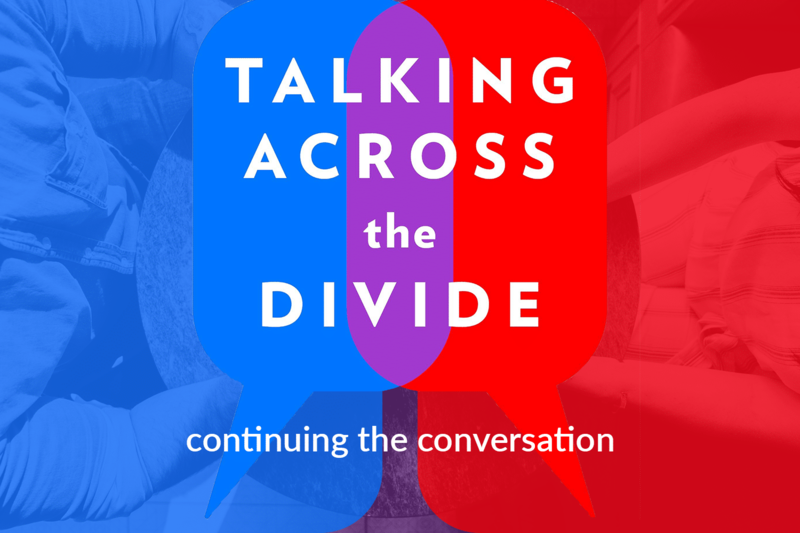 Talking Across the Divide: Join the conversation! My new book, Talking Across the Divide, is about how we talk to each other again in our polarized world. But a book is only one side of a conversation. Now I want to hear from you! As you read through (or listen to) Talking Across the Divide, I’d love to hear your comments and questions. Do you have a personal example of a strategy that worked for you? Did something in the book inspire you, or confuse you, or leave you shaking your head in disagreement? Using the form below, share your ideas with me, or ask questions about things you’d like to discuss further about the ideas in Talking Across the Divide. Please note: Anything you send on this page may be quoted in future posts on this website as part of the “ongoing conversation” around Talking Across the Divide. Do not use this form for private communication. Not all messages will be posted or responded to. If you need to contact me privately, request an interview, or request me as a speaker, see the main contact page. Your email address will NOT be posted publicly.